Want to be in the 2016 Christmas Light Parade? 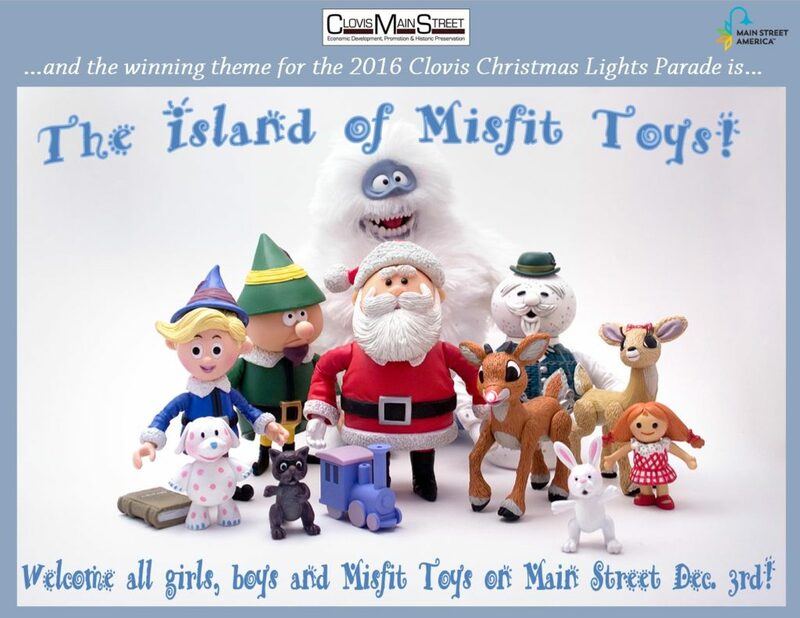 Enter your business or organization to be in the 2016 Clovis Christmas Light Parade and get seen by thousands of Clovis and the surrounding area residents and join in on an wonderful night of family fun!! 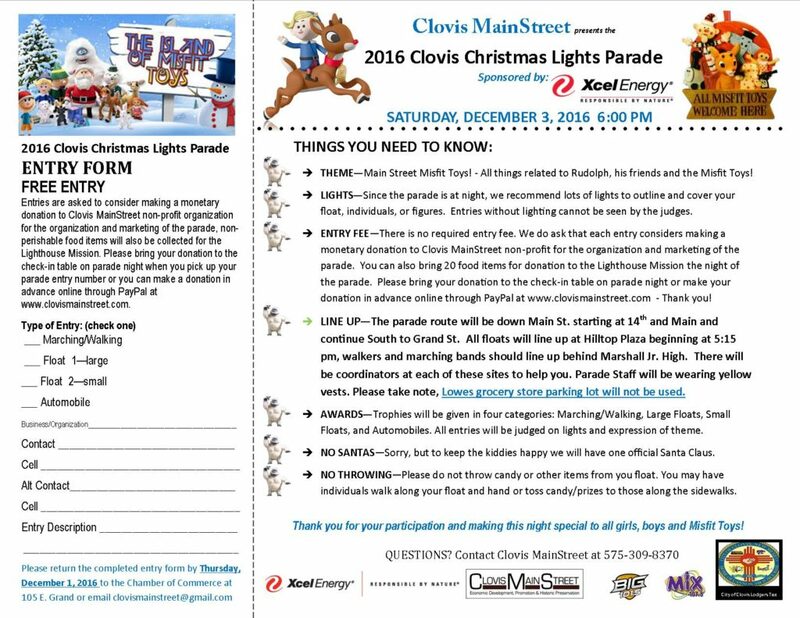 Registration forms are attached and can be emailed to clovismainstreet@gmail.com or dropped off at the Chamber of Commerce, City Hall or Clovis MainStreet office at 612 C Main Street! Registrations due by December 1st. 2016 Christmas Light Parade Theme! 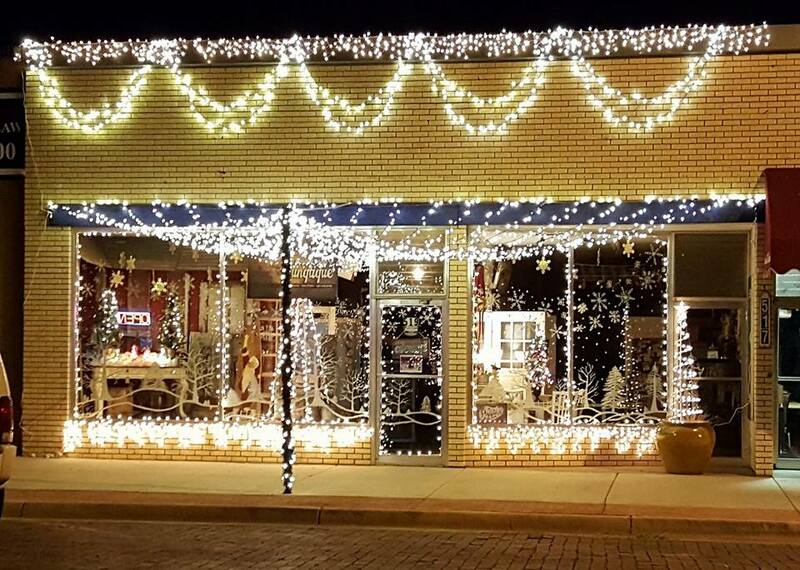 2015 Downtown decorating contest winner is…. A special thank you to the many businesses that participated in our downtown business decorating contest. Our downtown looked so beautiful because of all our small business owners. Next year we hope to have an even bigger contest with more participants and more prizes! !